We Drink Your Milkshake! : A New THE GREAT GATSBY Trailer Drops! What a feast for the eyes. This world is absolutely gorgeous and breathtaking, and director Baz Luhrmann has created makes the roaring 20's seem so appealing. This new trailer sheds more light on the enigmatic yet charismatic Gatsby (DiCaprio). I must make a point to revisit the book before the film. All I remember is rich and fabulous lifestyles of these characters are full of secrets, lies, and deception. Sounds like Hollywood nowadays. I cannot wait for this film. However, not completely sold on this film being in 3D. 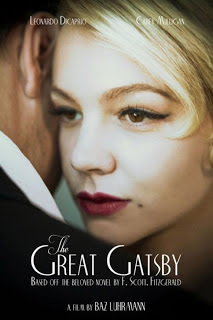 THE GREAT GATSBY will be released May 10, 2013 directed by Baz Luhrmann and stars Leonardo DiCaprio, Carey Mulligan, Tobey Maguire, Joel Edgerton, and Isla Fisher.